Thirion was a French painter and engraver who created exquisitely luminous genre scenes. Born in Langres (Haute-Saone) on 30th March 1833, most of his life story is lost in obscurity, although it is believed that he died in Paris on 27th April 1878. 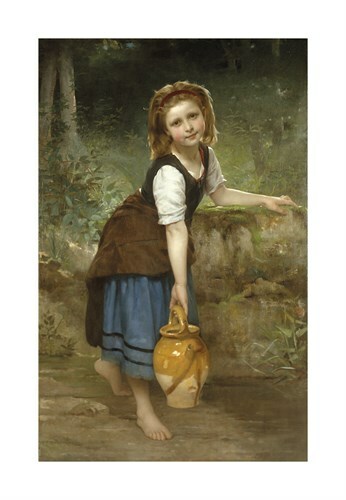 A student of Bouguereau and of Glaeyre, it is known that he made his debut at the Paris Salon in 1861.